Baku Civil Engineering Institute was established in 1937 as an architectural planning department at the Executive Committee of the Baku City Council of People’s Deputies. 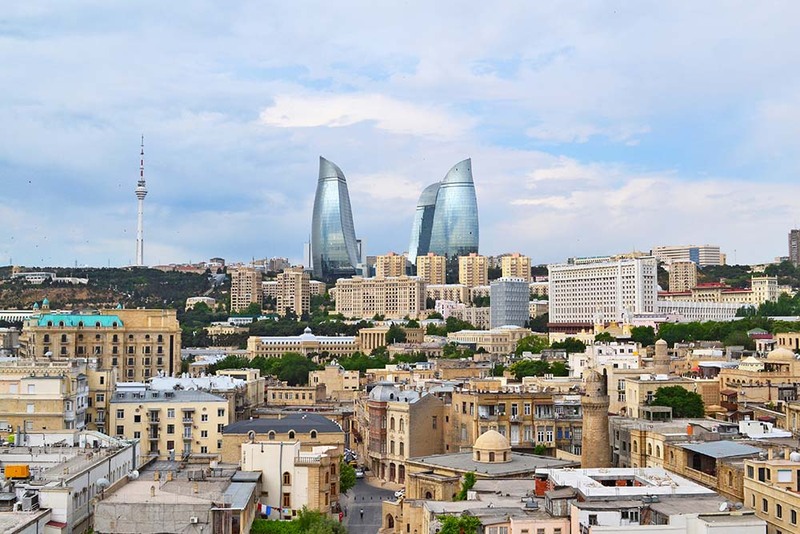 At that time there had been a serious change in the architecture of Baku, the national architectural heritage of Azerbaijan systematically studied and developed. The Institute has been named “Bakproyekt” since 1952, and since 1958 it has been called “BakuTiproKor”, engaged in designing and building civil and residential buildings in Baku. After gaining independence, our country was renamed the Baku State Institute of Technology. Currently, the Institute operates under the State Committee for Urban Planning and Architecture of the Republic of Azerbaijan. The institute successfully fulfilled its mission since establishment. During the Second World War, dozens of employees of the institute, architects and engineers went to the forefront, many of whom were involved in defensive work and designed defense buildings in difficult conditions. After the war, creative horizons of the Baku State Design Institute have expanded significantly. Pursuit of uniqueness and national expressiveness led Azerbaijani architects to design many important public and residential buildings with a national architectural character. Project works on a new master plan of Baku city and regional planning projects of the Absheron Peninsula has been begun. Since then, a new and advanced urban planning project has been developed. In 1952-1954, the Baku State Design Institute developed the master plan of Baku city until 1976 and it was approved by the decision of the Council of Ministers of the Republic of Azerbaijan in 1958. According to these documents, the master plan of settlements in the Absheron peninsula was developed: Hovsan, Bina, Dubendi, Zabrat, Mashtagha, Khirdalan, Lokbatan, Sahil, Alat, Mardakan, Shuvalan, Buzovna, Pirshaghi, Bilgah and Gobustan.The architectural image of the country has been enriched by a number of important objects, which are very interesting, large scale and important in terms of urban planning. The awakening and strengthening of the national spirit of Azerbaijan began in 1969 when the great leader Heydar Aliyev came to power in Azerbaijan for the first time. During his governance over 14 years, Azerbaijan possessed one of the leading places in the USSR for socio-economic, cultural development among former Union republics. As a result of Heydar Aliyev’s well-planned economic policy, high organization, Azerbaijan began to develop rapidly. In 1972-1982, residential apartments covering 6.2 million square meters, schools with about 100,000 seats, 30,000-seat preschools, hospitals and clinics with 6,000 beds, as well as other social and cultural facilities were constructed in Baku. Baku State Design Institute’s staff was awarded first place by the results of the socialist obligations of 1985-1986 and was honored with the Red Flag of the Central Committee of Azerbaijan Lenin Komsomol Youth Union, Azerbaijan Trade Union, Central Committee of the Communist Party of Azerbaijan, the Council of Ministers of the Azerbaijan SSR. The fall of the Soviet empire raised instability in the whole country including Baku city. In the late 1980’s and early 1990’s, construction work in the city almost stopped. But after great leader Heydar Aliyev returned to power with the insistent demand of the people, a great revival began in the construction sector. The “Contract of the Century” signed in 1994 in Baku gave a great boost to the country’s development. Dozens of schools, kindergartens, hospitals, sports complexes, high buildings, world-class hotels, large shopping centers, banks, and so on. were built and put into use. The Baku State Design Institute has entered a new stage in 2007. By the decree of the President of the Republic of Azerbaijan the State Committee for Urban Development and Architecture was established. Baku State Design Institute was transferred from Baku City Executive Power to the State Committee for Urban Development and Architecture. Notable architect Ilgar Isbatov who has prepared more than 100 architectural projects during his professional career and has repeatedly won the “Best Project of the Year” competition was appointed director of Baku State Design Institute on February 12, 2008. Over the past period he has done a great job in the development of the human resources and material-technical base of the Institute and has been directly involved in the development of many projects. Today, the Baku State Design Institute continues its historical traditions with a logical sequence, taking into account the realities and challenges of our time. Promoting talented youth at the Institute and educating under the support of experienced professionals is yielding its fruit. In recent years, the institute has achieved many successes both inside and outside the country. The Institute became the winner of the best project organization among The Commonwealth of Independent States (CIS) for the results of 2009-2010 and 2016-2017. The use of advanced technology, such as the ArcGIS software, was developed in the area of ​​1550 hectares for the first time in the country: Proper Baku Land use and Zoning Plan, “Greater Baku Regional Development Plan” and Baku City Landuse and Zoning Plan (Master Plan) was developed. The staff of the institute is determined to continue to contribute to the success of Mr. President Ilham Aliyev, the worthy successor of the national leader Heydar Aliyev’s policy during his creative work in the development of our country and for the welfare of our people.